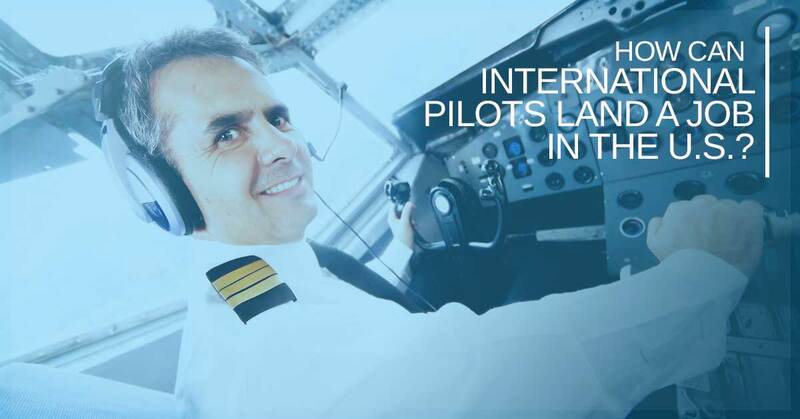 Type Rating Training: How Can International Pilots Land A Job In the U.S.? We hear all the time from India DGCA and other international pilots who are looking to take off on a new adventure and land a job in the United States. Many are wondering if this dream is even possible. Well, Alliance Aviation is here to tell you: it’s more than possible. It’s easily attainable with type rating training at our Miami flight training school. But first, you need to know of the many steps it takes in order to land a job as a commercial airline pilot in the United States. While your India DGCA certification or other pilot license might be enough for you to fly privately, there’s still an extensive yet attainable process you need to go through in order to land a full-time job with an airline. Keep reading to learn what it takes in order to earn a job in the United States as an international pilot. This is, of course, the first and one of the most important steps to attaining a commercial job as an international pilot. However, it’s important to understand that this is one of the most basic pilot certifications required. Essentially, all a commercial pilot license (CPL) tells you is that you are permitted to operate an aircraft and be paid for your work. There are many different ways in which you can obtain your CPL, depending in which country you are working, but all recipients must pass rigorous written exams, flight simulations, flight tests, and they must complete a solo cross-country flight complete with multiple full-stop landings. While a CPL is a good start, in the United States it takes even further certification in order to land a job as a pilot for a commercial airline. A type rating is essentially what permits you to become qualified enough to seek a job as an airline pilot. Type rating certifications ensure that you have the ability and know-how in order to operate a commercial jet. It also ensures that you have the knowledge of all of the plane’s systems and intricacies. Now, you need to understand that there are several different type ratings, and the one that you need to seek depends on which type of plane you wish to fly. For example, you could opt for an Airbus A320 type rating, which would allow you to fly one of the world’s most popular jets. You could also seek a Boeing type rating for 737 and 787 jets, which are popular with some of the more prominent U.S. airlines. Type rating training is crucial for this process, which is why if you are an international pilot who seeks a job in the United States, you need to learn about the type rating courses offered by Alliance Aviation. Call today to learn more. The final, and most important, type of certification you need in order to become an airline pilot is an ATP-CTP. This is the FAA’s highest certificate, and allows you to be the pilot in command, or captain, of an airliner. ATP-CTP training requires more than 1,500 flight hours, a medical certificate and the passing of a written test. Alliance Aviation can have you prepped for the ATP-CTP written exam in as little as eight days. You’ll get the type rating training and ATP training that you need in order to land a job as a commercial pilot. Enroll today and take flight on a brand new, exciting career within the United States!